MOTIVATED SELLER! Finished Walkout Basement! This 4 Bedroom, 4 Full Bath Home is Meticulously Maintained. Upon Entering You Will be Greeted with Soaring Ceilings, Hardwood Floors, Fresh Paint, and a Great Floor Plan for Entertaining. Living Room Lined with a Wall of Windows. Gourmet Kitchen Features Granite Counters and Backsplash, Island, Plenty of Counter Space, and Recessed Lighting. Separate Eating Area Leads to a Sprawling 2 Story Deck with Amazing Views of Private Lot. Spacious Family Room with Wood Burning Fireplace. Huge Private Master Suite with Vaulted Ceilings and Large Walk-In Closets. Master Bath Boasts Dual Sinks, Separate Shower, and Soaking Tub. First Floor Full Bath adjacent to Large Den, which is Ideal for 5th Bedroom In-Law Arrangement. Full Finished Walkout Basement with Full Bath. Lakes High School! Close to Forest Preserve Trails, Shopping, and Major Highways. I was searching on Blue Fence and found this listing. 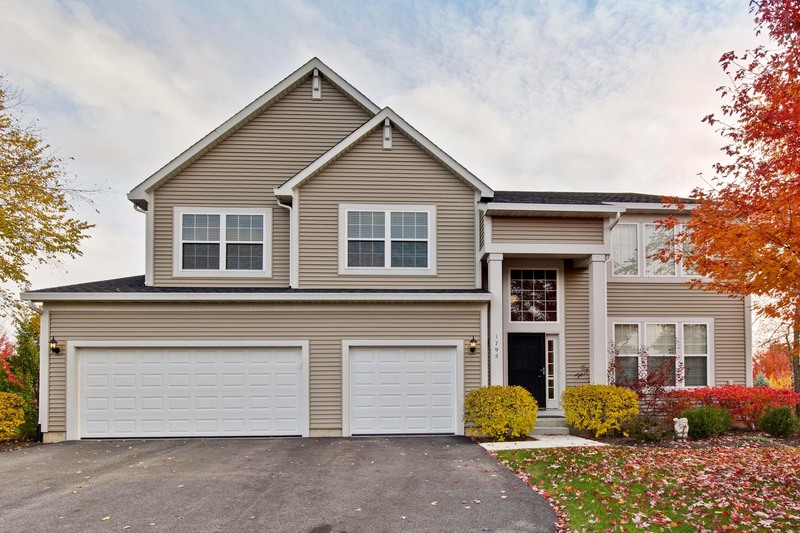 Please send me more information about 1795 Prairie Ridge Circle , Lindenhurst, Illinois 60046. Thank you.